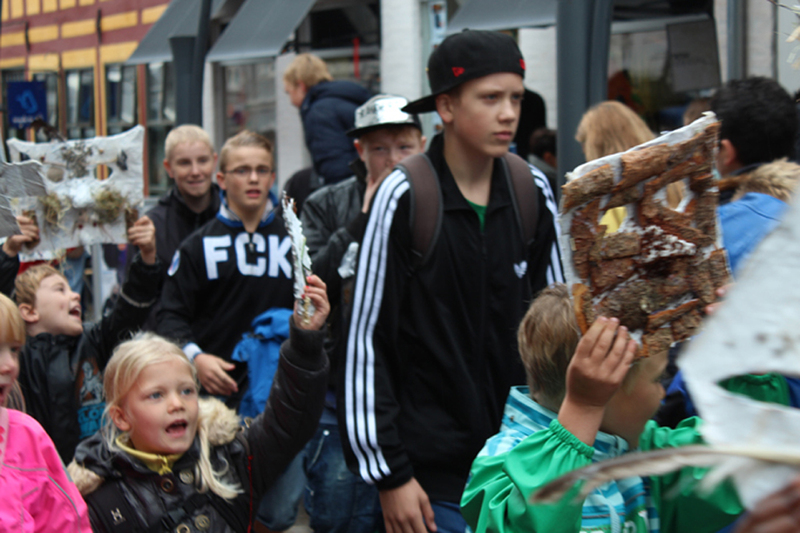 A great project with a lot of kids in the streets of Vejle, Denmark. A maskparade with 250 children. Fun fun… and the kids loved it!